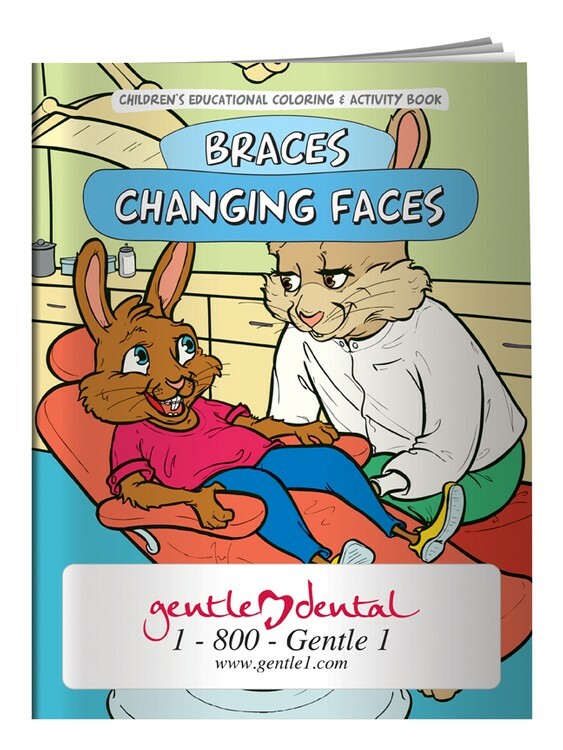 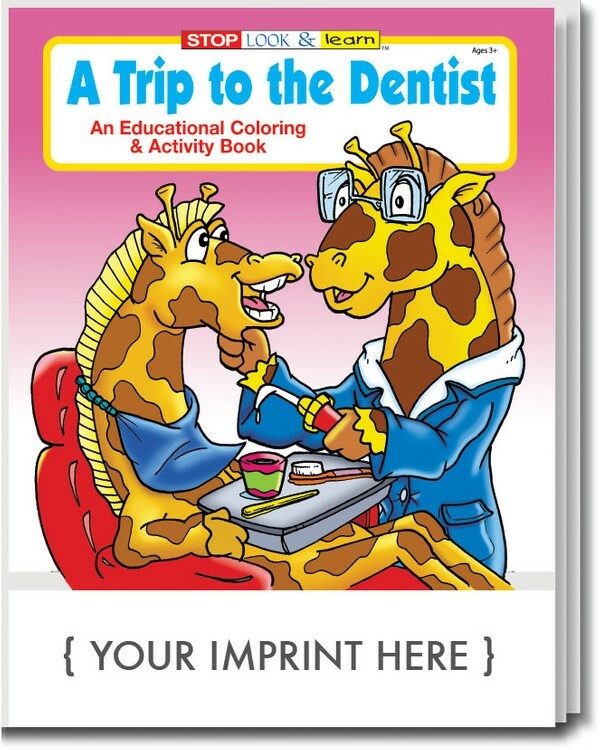 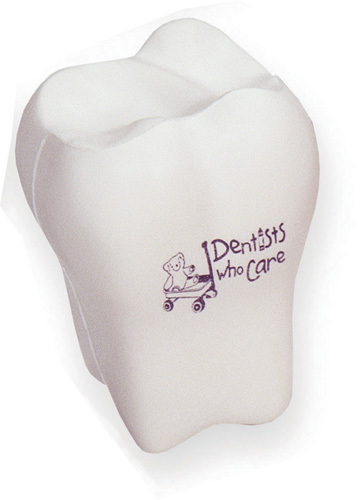 Dentists, orthodontists and oral surgeon specialists love to give handouts and useful healthy imprinted promotional gifts to their patients! 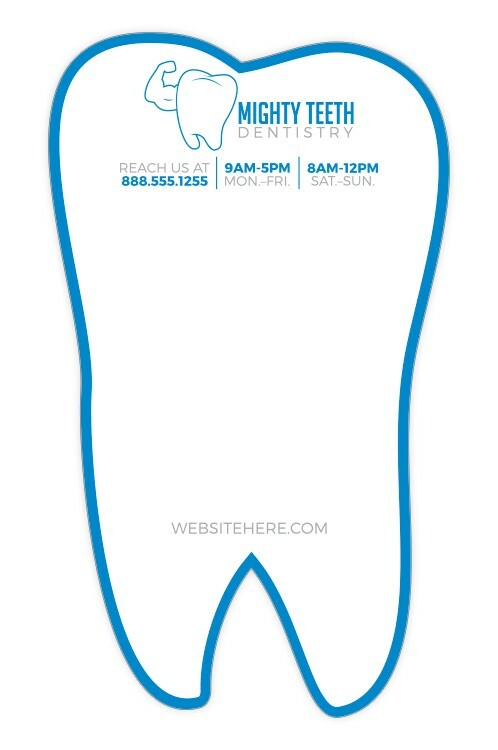 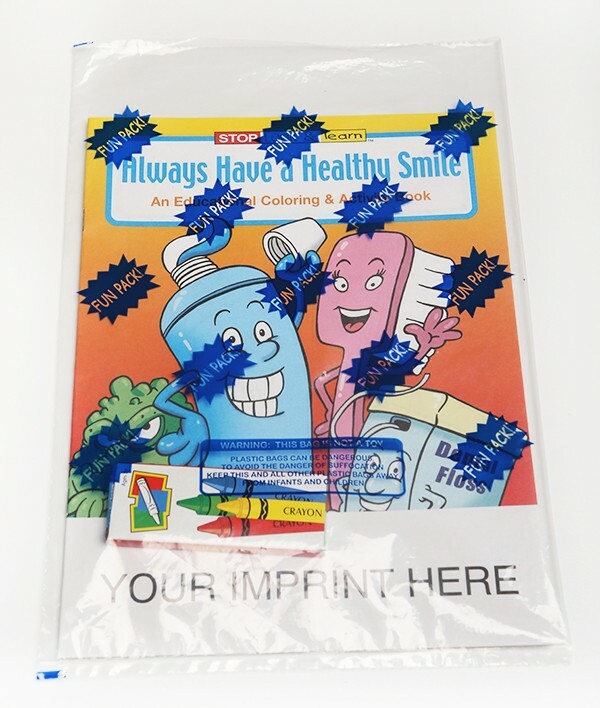 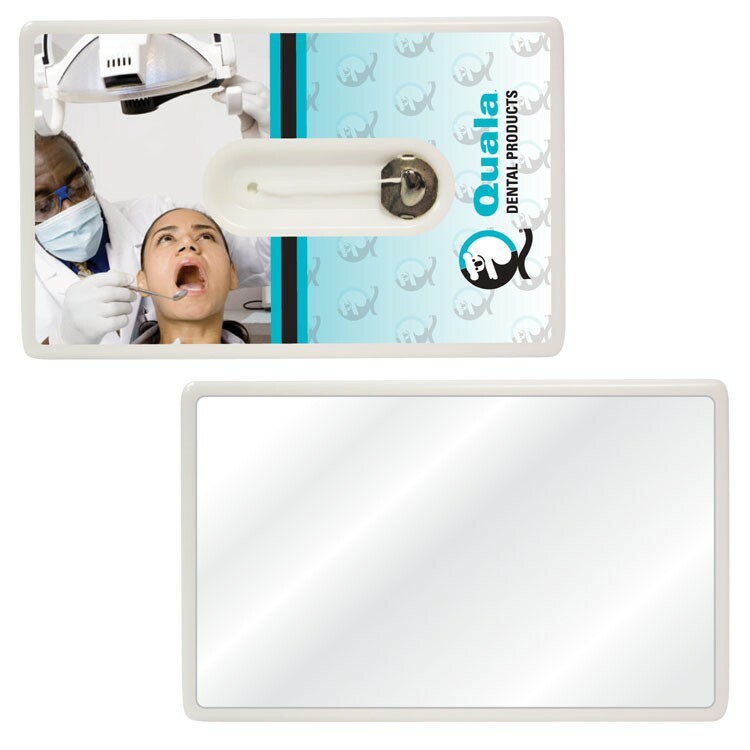 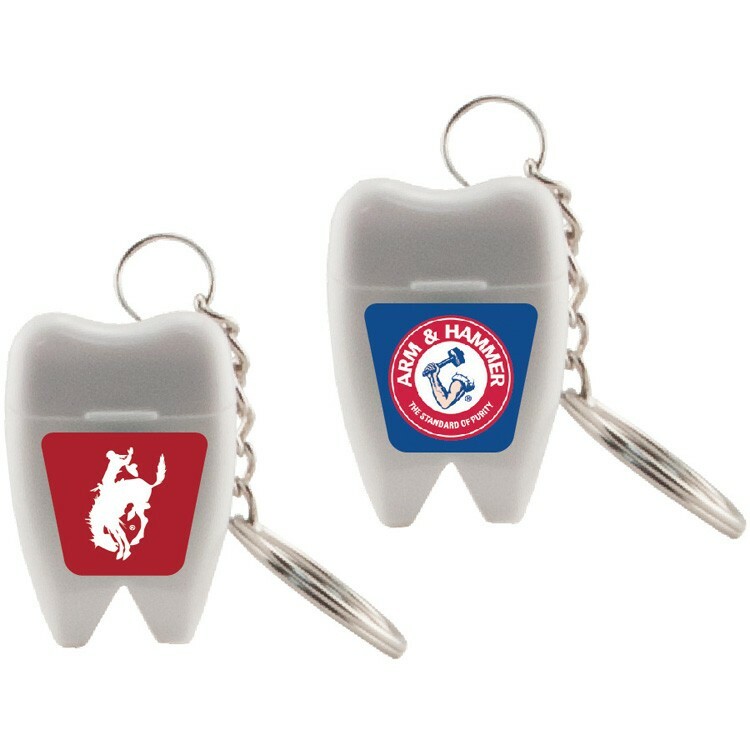 We offer a huge selection of personalized dental health giveaways that can be custom printed with your logo, motto, mascot or advertising slogan. 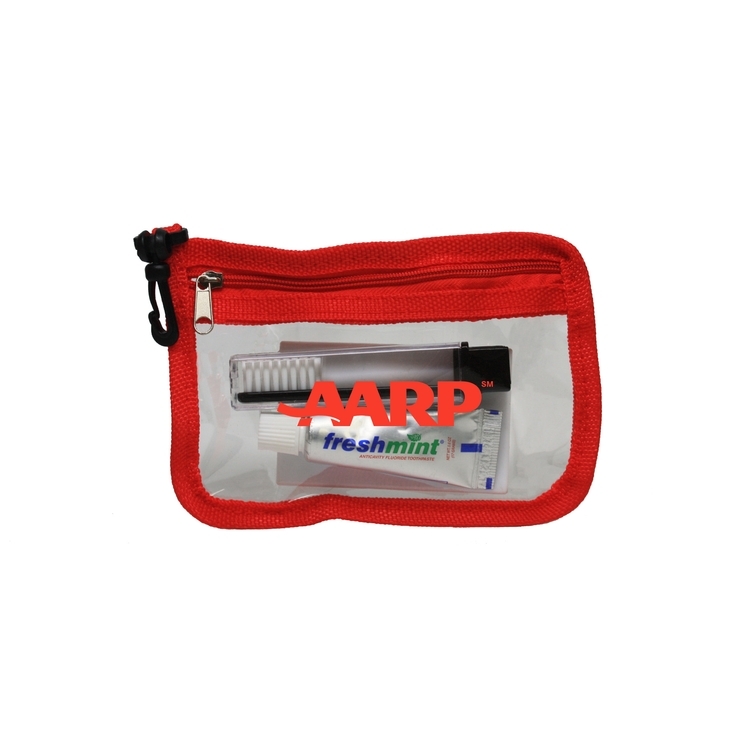 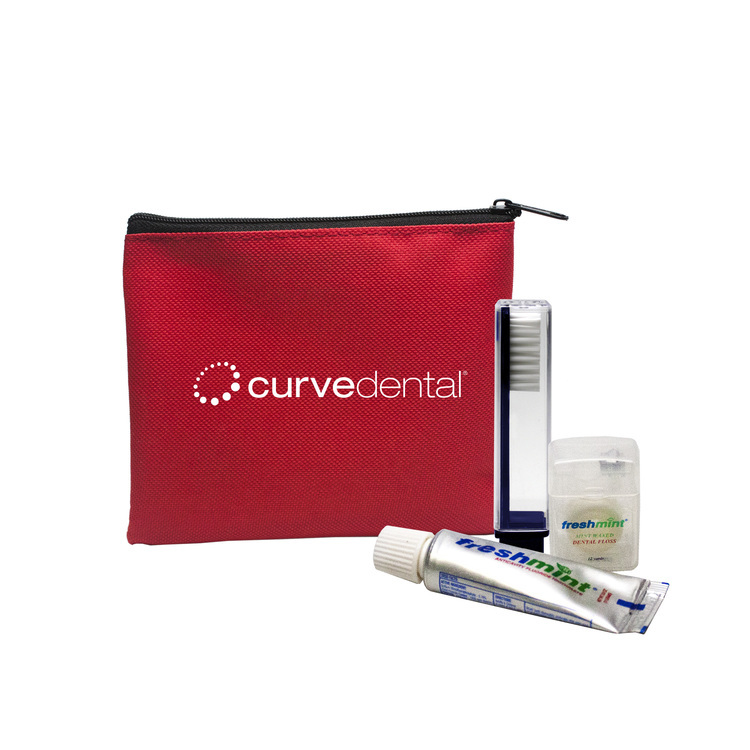 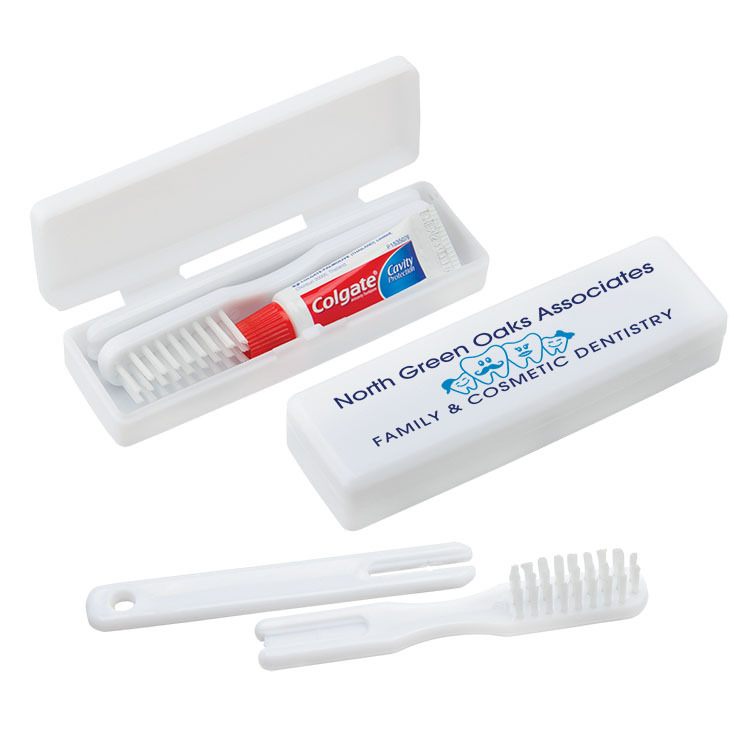 Give your clients a healthy promo gift that will advertise and promote your practice and good dental health. 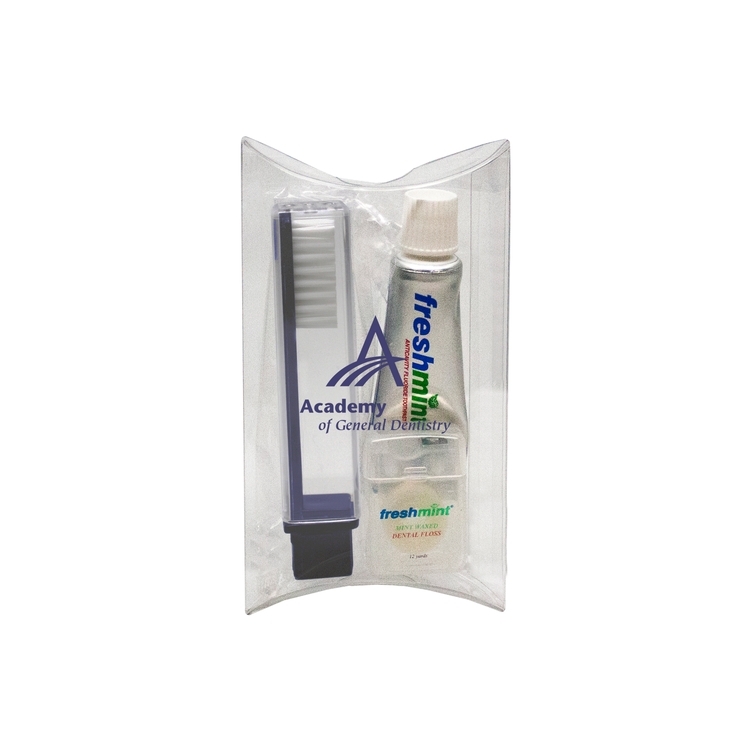 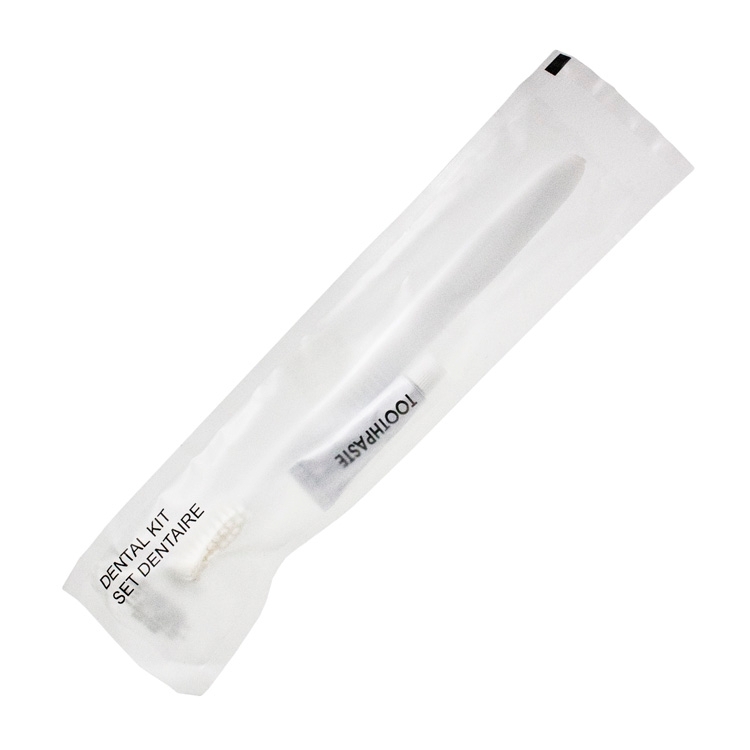 Clear TSA compliant quart PVC bag with travel size amenities, including: Restore shampoo/ conditioner, body wash, moisturizing hand sanitizer, toothbrush, Colgate toothpaste, razor and shave cream packet. 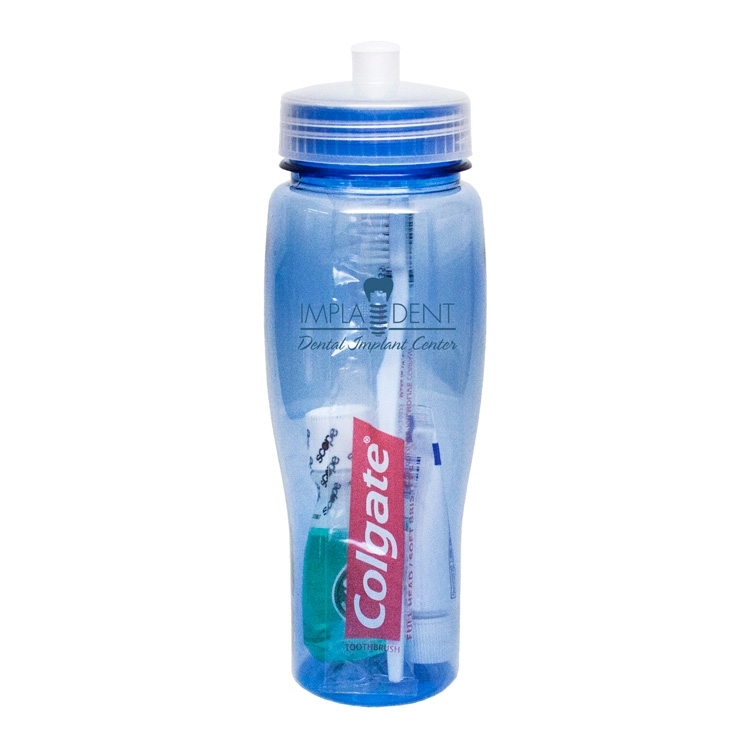 Decoration: W 4" x H 7" Colors: Red Zipper, Blue Zipper, Black Zipper, Pink Zipper, White Zipper, Clear Zipper. 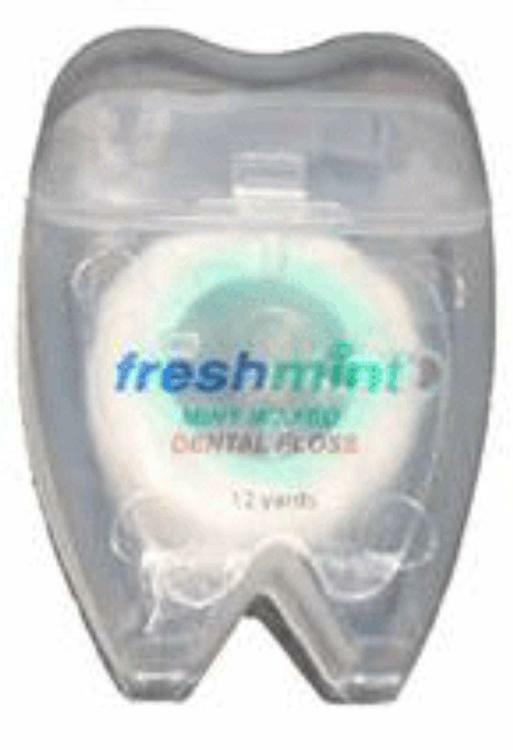 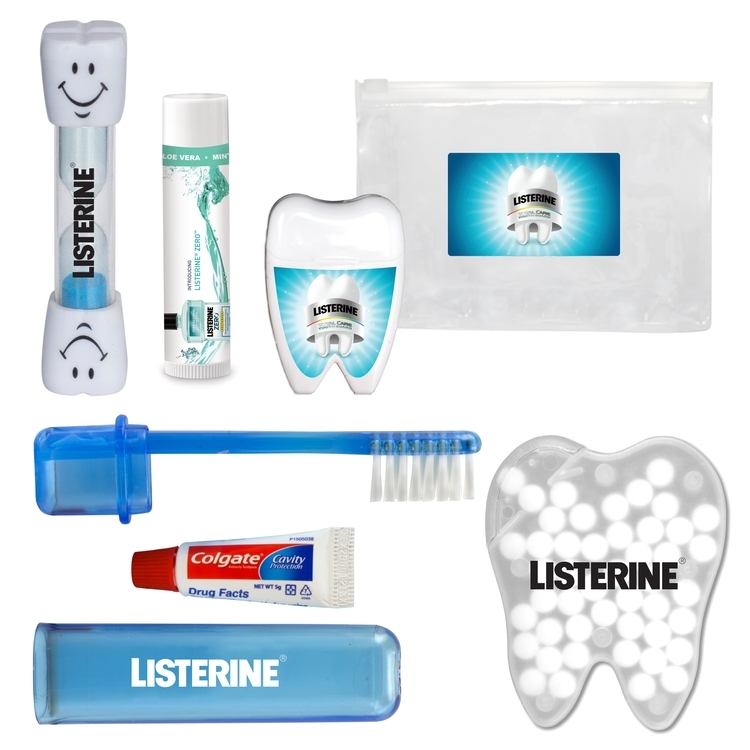 Dentist promotion and dental health items are good personalized handouts or giveaway gifts at health fairs, wellness and awareness events.. LP Marketing can custom print your company or dental practice logo, slogan, motto, or promotional advertising message on hundreds of healthy dentist related promotional handout marketing products. 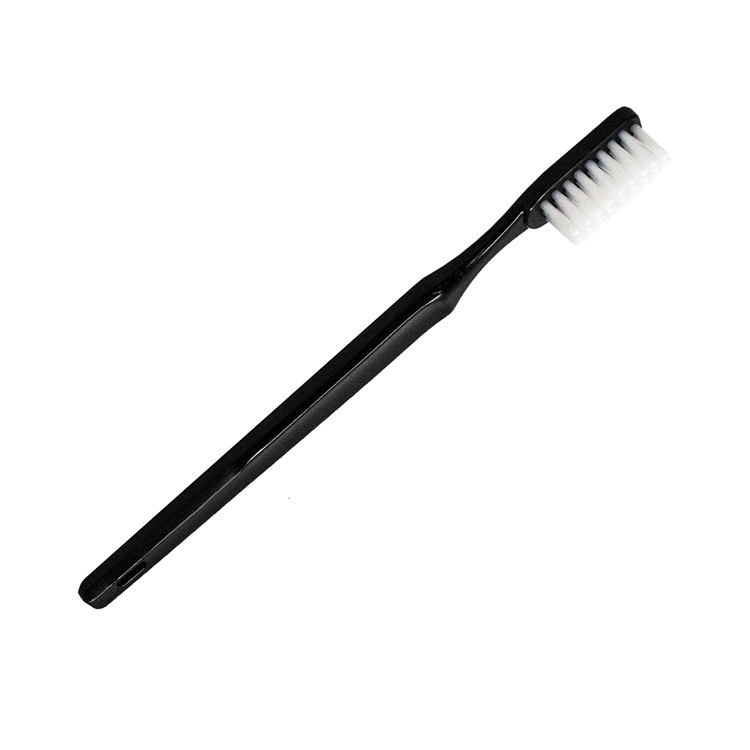 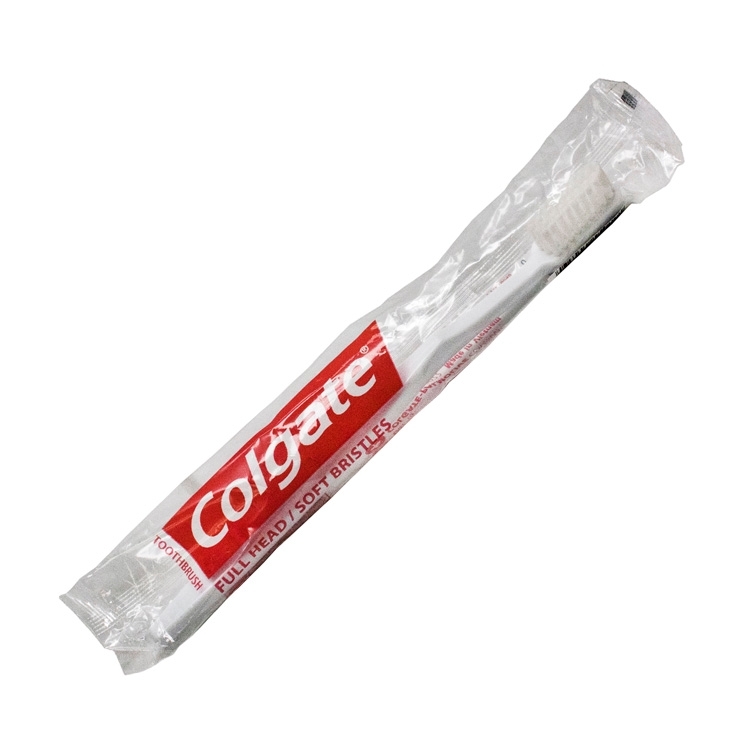 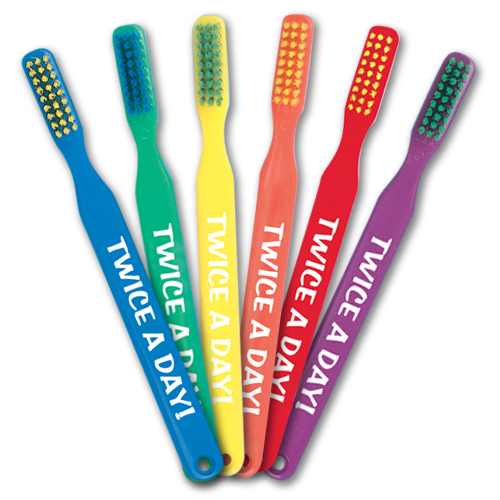 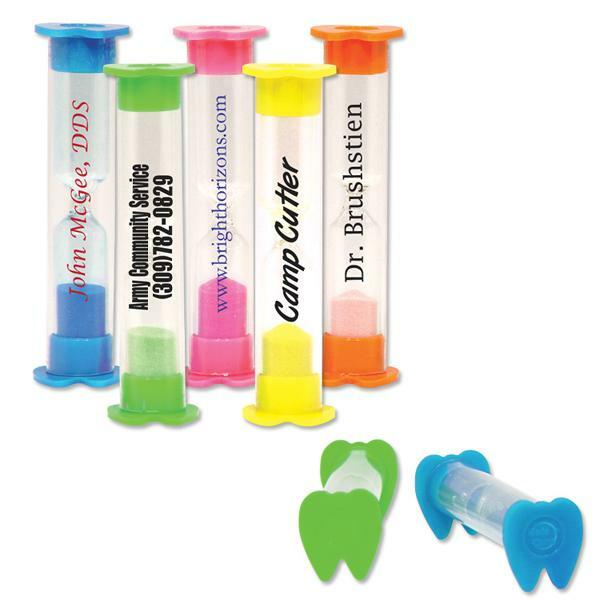 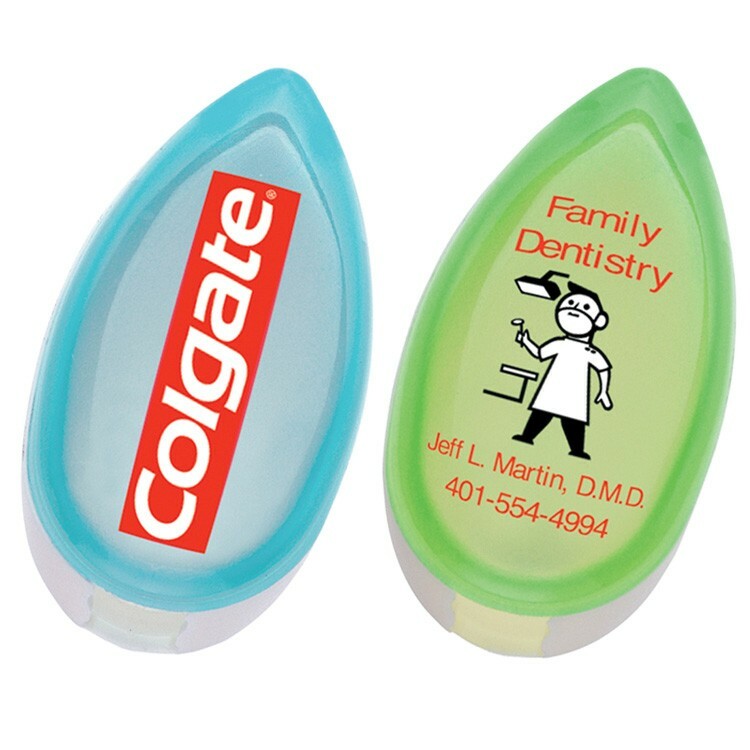 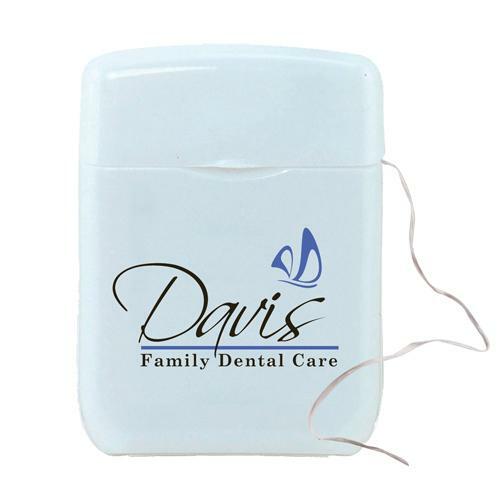 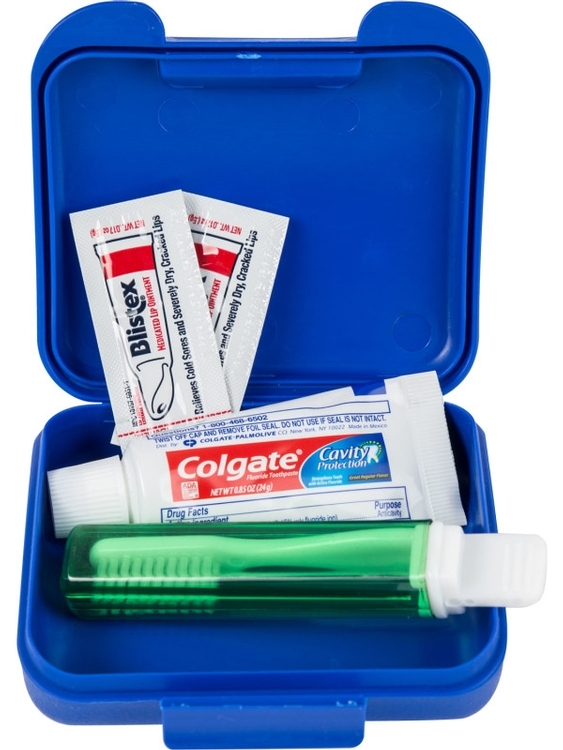 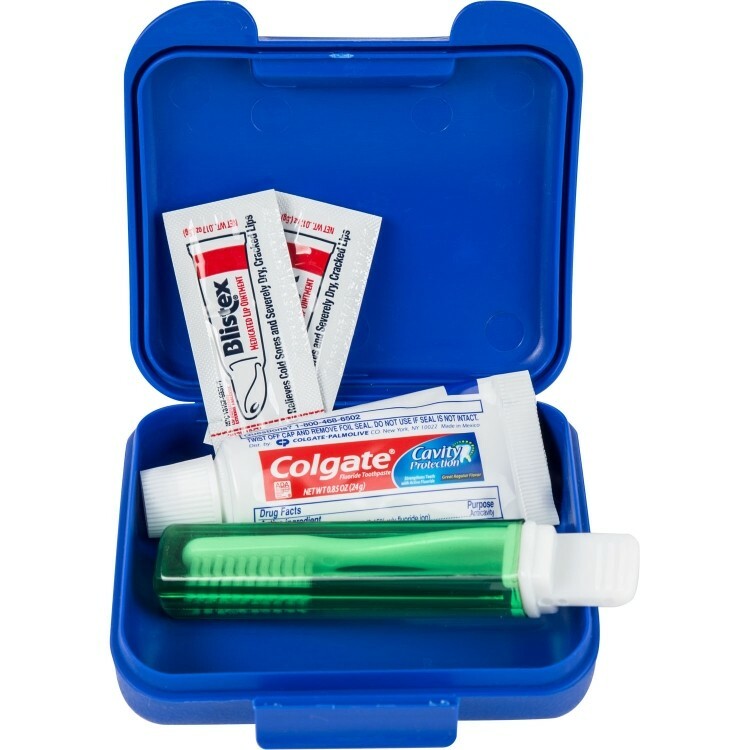 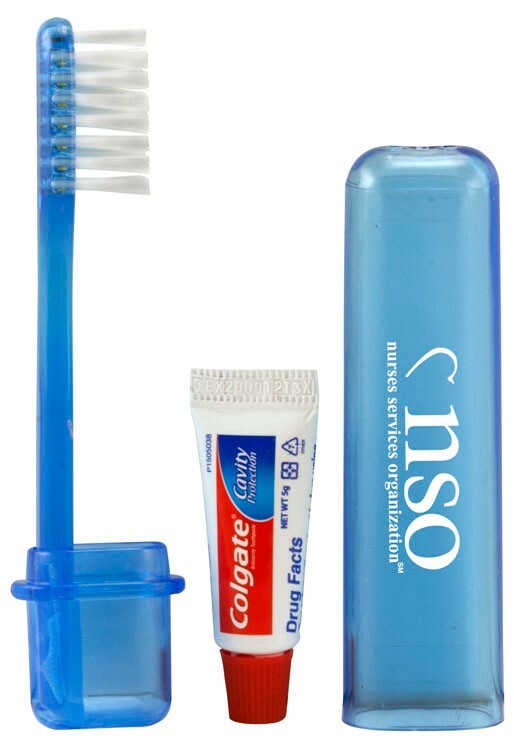 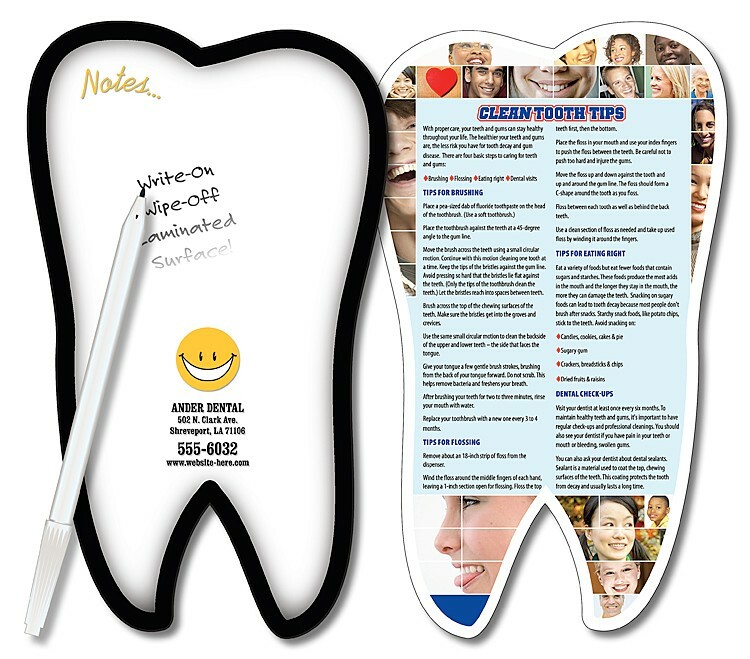 Promote good dental health and your logo at your next healthy promotional marketing event. 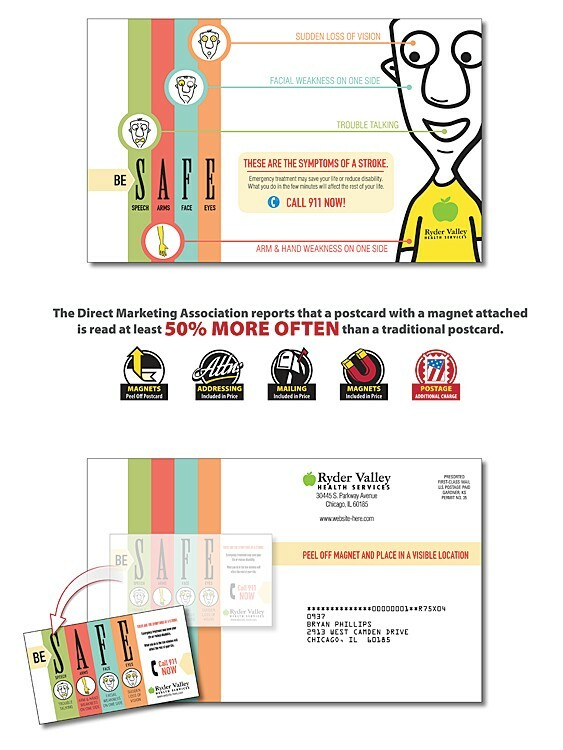 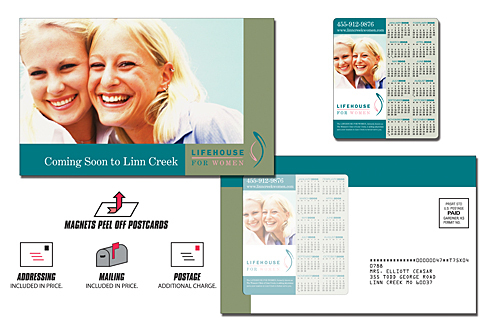 Let us help design promotional imprint product gifts for your business or professional service.